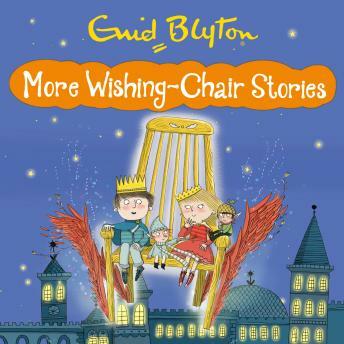 A classic children's story from one of the world's best-loved children's authors, Enid Blyton - be whisked away by these magical Wishing-Chair stories. Mollie and Peter are home for the mid-term break, and Binky and the Wishing-Chair are ready to whisk them away to magical lands. They'll meet brownies, visit the Land of Wishes and even find gold at the end of the rainbow. But best of all will be helping Santa Claus deliver presents for Christmas!